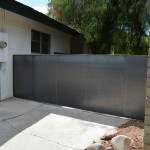 RV gate with man gate installed at side of garage, raw steel finish. 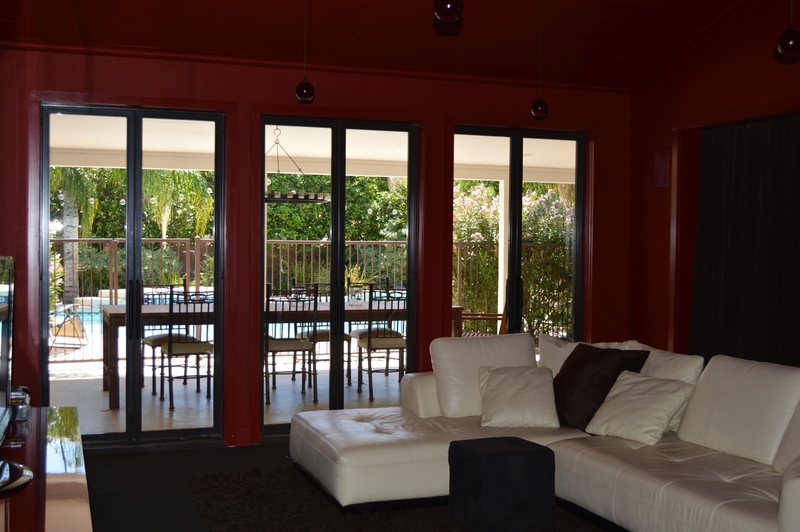 Custom patio doors installed in back to replace windows, three sets of double doors with glass to let light into living room. 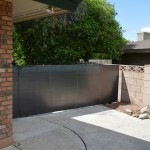 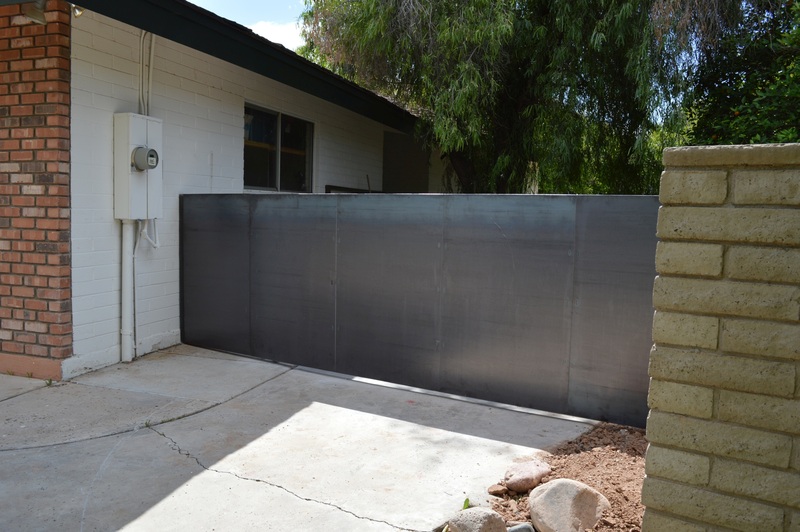 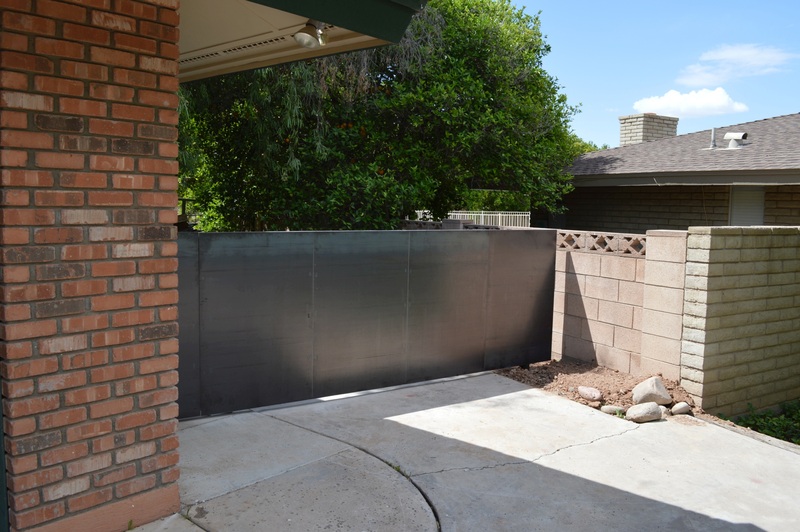 Steel RV gate and man gate at side yard. 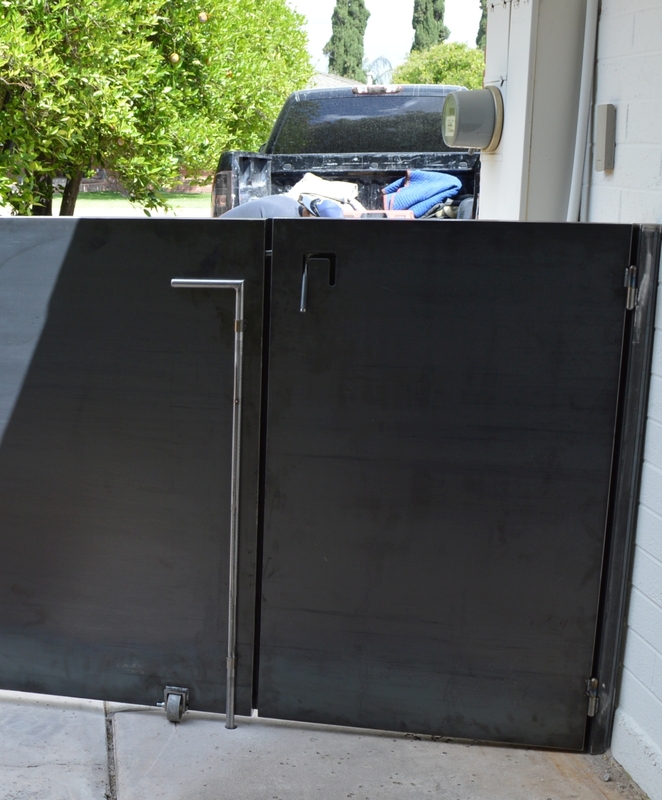 Custom slide lock and cane bolt on RV gate and man gate. 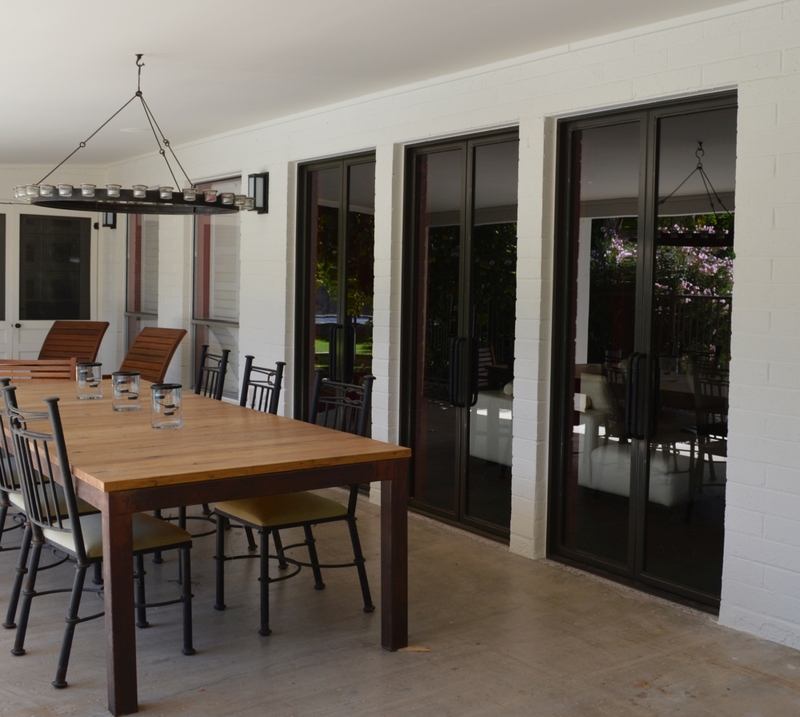 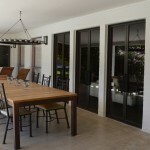 New custom patio doors, powder-coated steel frames and glass inserts. 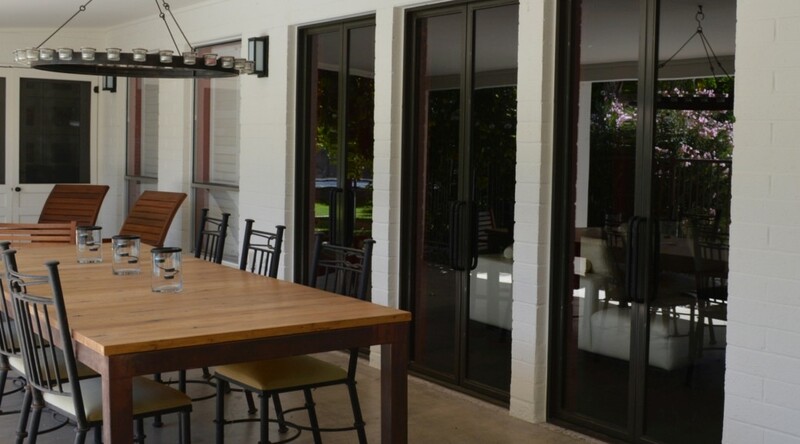 Custom patio doors to replace windows.